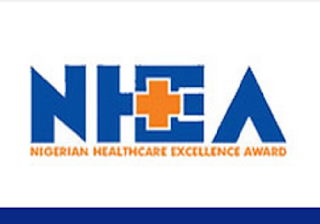 The Nigerian Healthcare Excellence Awards (NHEA) has nominated over 100 organisations and individuals for the fifth edition of the award. Some of the nominees include; Abia State, Adamawa State, Diamond Bank, Sterling Bank, Access Bank, University College Hospital (UCH) Ibadan, University of Nigeria Teaching Hospital (UNTH), Aminu Kano Teaching Hospital and Lagoon Hospital. Others are St. Nicholas Hospital, Clinix, Pathcare, Afriglobal, Nordica Fertility Centre, The Bridge Clinic, Lily Hospitals, Warri, Nisa Premier Hospital, Abuja, etc. Moses Braimah, NHEA Director of Communication, Marketing and Strategy, in a statement weekend said that the electronic voting for winners commenced on June 8 and will end on June 18, 2018. The NHEA Director of Communication also said that the voting portal can be accessed on the award website, www.nigeriahealthcareawards.com.ng. According to him, winners will be announced at a grand ballroom ceremony on Friday, June 22, 2018 at Eko Hotel & Suites Victoria Island, Lagos. “We received over 2,500 nominations from the public. The Jury is expected to use the number of votes cast and report of the team of experts that will visit nominated facilities to decide the winners,” Braimah added. Other nominees are; DoctorNow, Doctoorahealth, Fyodor Biotechnologies, WellNewme Nig Ltd, Florida Eye Centre, Abuja; I Care Family Vision Center, St Joseph Eye Hospital – Port Harcourt, Eye Foundation Hospital and Primus Eye Centre, Abuja. The list further includes, Bamfak Rehab and Physiotherapy Limited – Abuja, Ageless Physiotherapy Clinic, Body Mechanics Physiotherapy and Wellness Centre, Physiofit Physiotherapy Hospital, Wellpath Physiotherapy, Swiss Biostadt Limited, PPC Limited and GE Healthcare, JNC. Also among the nominees are, International Limited, Tuyil Pharmaceutical Industries Limited – Ilorin, May & Baker Nigeria Plc, Glaxosmithkline Pharmaceutical Ltd, Orange Drugs Limited, Nett Pharmacy Ltd, Healthplus Pharmacy, Medplus Pharmacy, Alpha Pharmacy, etc. NHEA, the Oscar of Nigeria healthcare, is aimed at recognizing and celebrating the achievements of personalities and organisations who have contributed immensely to the growth and development of the Nigerian health sector in the last one year. NHEA, is supported by PharmAccess Foundation. The award is organised by Global Health Project and Resources (GHPR) in collaboration with Anadach Group, USA.